KCC has a lot of pride in her great state and enjoys sharing the best it has to offer. She is a native Texan who grew up in Central Texas. In Texas, we seem to do everything in a big way. 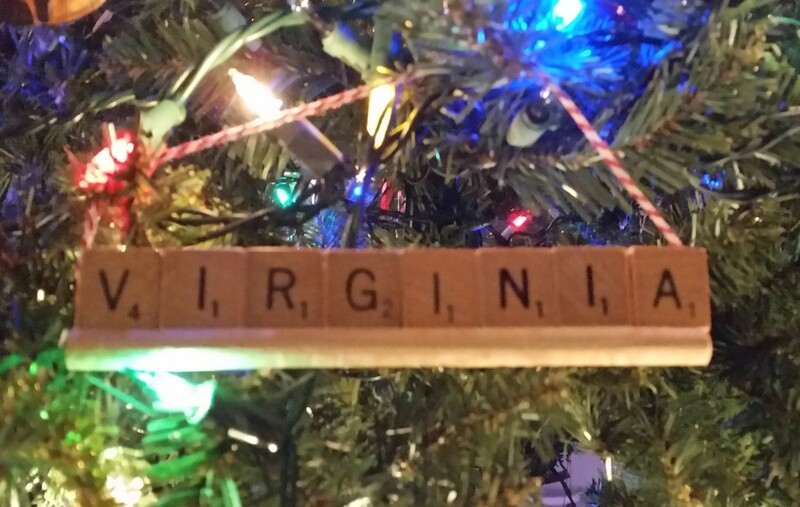 Christmas decorating is no exception. 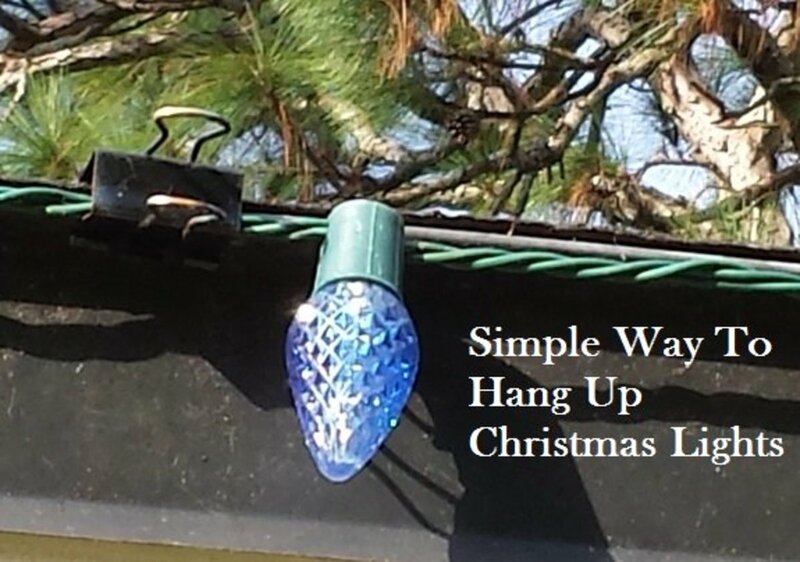 I first assembled a list of the best light displays I could find around the state in 2009. I provided links to each one so that viewers could learn more. You can browse the list by geographic area, each of which features a map so that you can see which displays are within driving distance. However, while these lists and maps are meant to be a convenience for finding a Christmas wonderland near you, before hitting the road, please check the event's website to make sure that it is open and the address is still correct. The Austin and San Antonio Area, including displays in Round Rock, Belton, Round Rock, Georgetown, and the Hill Country). The Houston Area, including a display in College Station. The Dallas-Fort Worth Area, including displays in Grand Prairie, Denton, Grapevine, Cleburne, and Arlington. Upper East Texas displays in Tyler and Marshall. West Texas display in Andrews and San Angelo. A South Texas display in Hidalgo. The amount of traffic it has received has led me to update it every year. If you have an awesome Christmas light display in 2015, then contact me, and I'd love to add you to my list. Annual Mill Pond Christmas Extravaganza is a 30-acre Christmas park featuring over a million twinkling lights and dance with a curated list of Christmas carols being broadcast over 88.7 FM. Weather-permitting, visitors can opt to walk through the park. Open nightly from November 23, 2017, through January 5, 2018 Entry is free and open to all. The park opens at dusk and closes at 10 p.m.
San Saba’s annual Sip N’ Stroll is on December 9, 2016. The renowned wine tasting event is from 2-6 p.m. and features six Texas wineries housed in downtown businesses. Tickets are $20 and include a wine glass and 10 taste pours. This event is followed by the San Saba annual Christmas concert from 6-6:30 pm and the Christmas Parade from 6:30-7:30 p.m.
Santa’s Workshop, in the Estep-Burleson Plaza, is Santa's home the night of December 9. 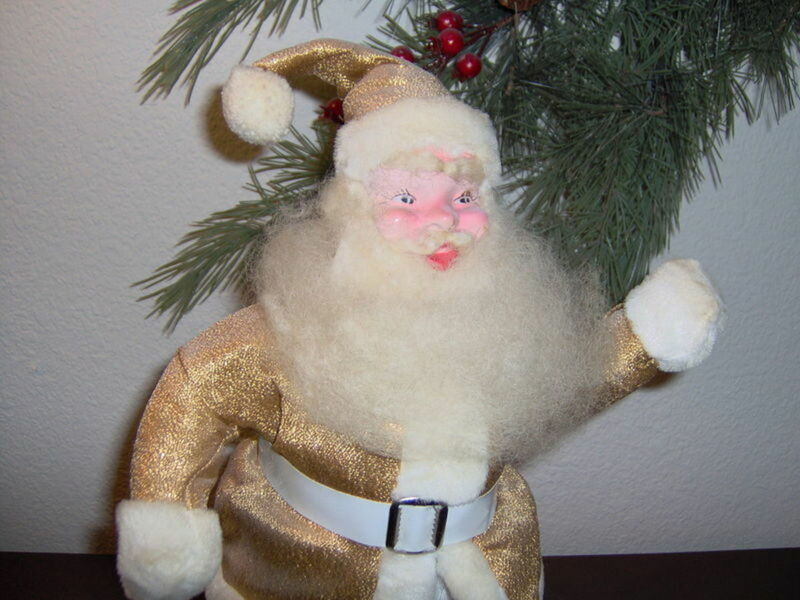 Kiddos can visit Santa and Mrs. Claus will have cookies and ornaments to decorate. Small gifts and light refreshments like hot cocoa and cookies will be available. Open from 7-9 p.m.; free and open to all. Including displays in Round Rock, Belton, Giddings, Georgetown, the Hill Country, and Marble Falls. Which Displays Are Within Driving Distance? Rock 'N Lights features 2 million lights that are set up along a mile and a half driving path through Old Settlers Park. In addition, there is a holiday village with carnival rides set up in the Dell Diamond parking lot. This event starts Nov 30, 2015 and runs through Dec 26, 2015. Family vehicles are $15, limos are $50, 9-30 passenger buses are $45 and 30+ passenger buses are $75. Hours of operation are 6-9 pm on Sundays to Thursdays and 6-10 pm on Fridays, Saturdays and holidays, but it is worth checking their website because the carnival is contingent on weather. Also in the area is the Spindler Family Christmas Show; the video above shows the computer-controlled Christmas display that the family sets up and synchronizes to music every year. Drive down to 2441 Candle Ridge Trail, Georgetown, TX 78626 and tune your radio into 88.5 FM anytime between 6 and 10 pm Nov 27 to Jan 3, 2016. 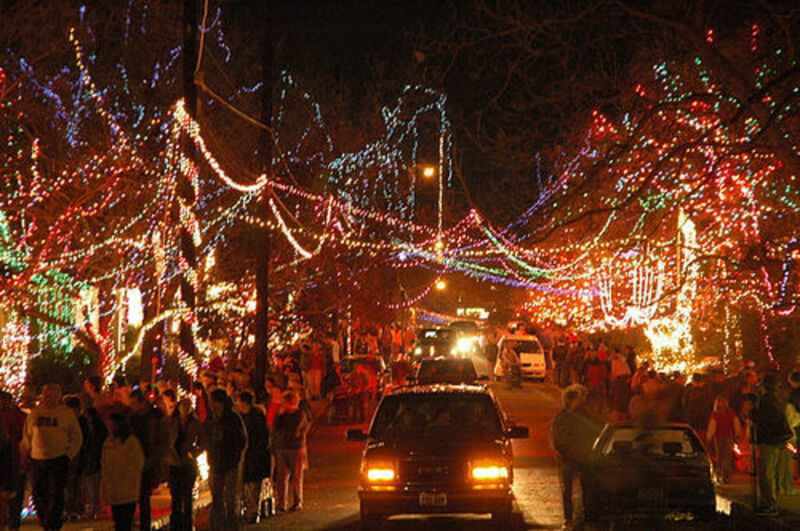 For Georgetown Holidays, over 20,000 Christmas lights set to a Christmas remix that can be found on St. Nix 106.1 FM. Lights are on from 5:30 pm to 11:00 pm every night from November 27th-January 1, 2016. For more than 20 years, Austin's 37th Street has been transformed into one of the most spectacular displays of Christmas lights in the state. Neighbors string strand after strand from trees to rooftops covering everything in sight. They’ve even been known to decorate their pets and themselves in twinkling lights. The creativity of this neighborhood has been featured on Good Morning America and in magazines and newspapers. Due to the popularity of this event, it is advised that you park your vehicle blocks away and walk. Traffic is often blocked off and directed by Austin police due to the number of pedestrians and motorists trying to view the displays. To get there from I-35, exit at 38th Street and go west. Once you reach Speedway Street, you may want to start looking for a parking space. Cedar Street is the first left after Speedway and you may be able to find parking near there. Roughly a dozen cities in the Hill Country light up their town squares every year. The regional lighting trail has been featured on the Travel Channel, The New York Times, and other state and national news stations, newspapers, and magazines. However, one star attraction in the Hill Country is not a town square—it's a private residence a mile north of Johnson City. Dexter's Hill Country Christmas Drive-Thru Light Display is a privately operated display run by Dexter Haynes for over 10 years now. It runs from 6-10 pm Sunday through Thursday and 6 pm to midnight on Friday and Saturday. With more than half a million lights, you'll want to be sure to take your family and experience it this year! From the 25-foot tall tree of light and the Holidazzle Dancing Light show to the drive-thru tunnel of light, this display is sure to fill you with the Christmas Spirit. Enjoy the lights from the warmth of your car as you listen to their very own radio station that plays non-stop Christmas music on 101.7 FM, The STAR. 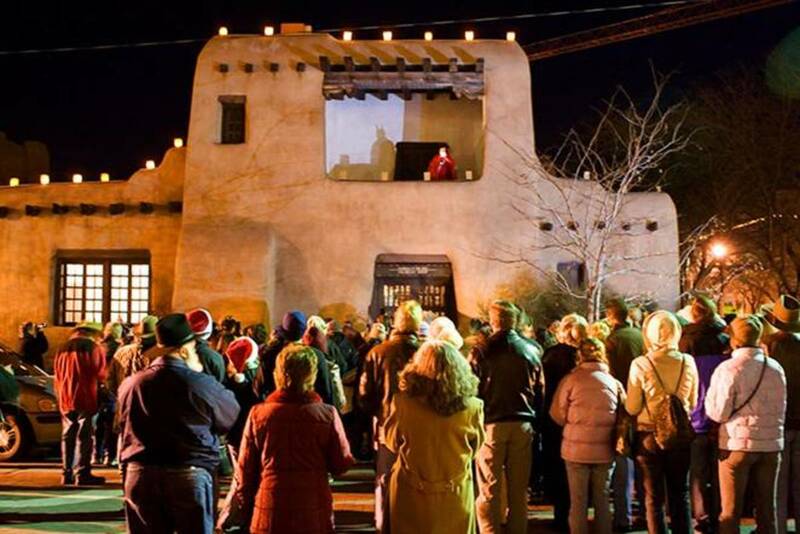 Back by popular demand this year, "The One Silent Night" Live nativity will be held on Dec 12th & 13th, 2015. from 6:00 pm - 8:30 pm. There is no charge for admission, but donations are accepted to keep this display going and to benefit local charities. Marble Falls, just 45 minutes west of Austin and 85 miles north of San Antonio on Highway 281 river bridge, hosts the Marble Falls Walkway of Lights. It's a self-guided walking tour with over two million twinkling lights and 150 sculptures. Admission is free, but donations are gratefully accepted to keep this project going. 2015 Dates: November 20, 2015-January 1, 2016. This is a drive-thru park for vehicles under 8 ft tall and 30 feet long. They are open each night including holidays rain or shine. Tickets cannot be purchased online. They accept cash, check and major credit cards. They do have concessions. There is not a live Santa, but they do have animated displays. They have restrooms at the entry and and the exit of the park. With over five and a half miles of drive-through entertainment, this is a must see. There is also a tram, pony rides, and family-friendly holiday movie screenings. For 2015, it is open from No 13 to Jan 3, 2016. The entrance fee for a car, mini-van, or pick-up truck is $8. For directions and more information, see the recreation area's website. Including a display in College Station. Prestonwood Forest is home to one of the longest-running community Chrismtas light displays in Texas. This community of about 750 participants has been decorating for Christmas in a big way for nearly 40 years. Santa's Wonderland in College Station, Texas, located 6 miles south of College Station, Texas, opened in 1998, and now boasts over two and a half million lights. Santa’s Wonderland is a drive through park but does contain a Texas Christmas Village area where you can walk around and visit their unique retail shops, live musical entertainment, a petting zoo, pony rides, classic Christmas movies on a giant outdoor movie screen and sit near two cozy fireplaces. They do provide a hayride tour if you’d rather not drive your own vehicle through it. They hayride tour includes Christmas music. They do have concessions and restrooms. Please visit their site for prices and more information. Including displays in Grand Prairie, Denton, Grapevine, Cleburne, and Arlington. The annual Parade of Lights takes place around Thanksgiving, marking the start of the holiday season. In 2015, it takes place on November 22 at 6 pm (check dates on the organization's website) and is now the largest illuminated holiday procession in the state. While the parade starts in the evening, festivities in Sundance Square Plaza start in the late afternoon. Prairie Lights consists of over four million lights along two miles of roadway. There are over 600 displays that line and arch over the walkway path, creating Texas' largest light tunnel. There is a holiday laser light show theater, which is a 10-minute light show choreographed to music and complete with snow. A gift shop and concessions are also available, as well as pictures with Santa. On weekends with high traffic, this can take a couple of hours to get through. It’s recommended that you allow about 2-3 hours to properly see this event. The price for one car is $15 Monday through Thursday and $25 Friday through Sunday and on holidays. Check their website for pricing for other types of vehicles. It's also worth checking their website before you go to make sure that weather conditions are not impacting the display. At this free event, you can visit Santa, enjoy Christmas carols, go on hayrides, listen to stories, participate in a wassail (non-alcoholic apple cider) contest, and watch the annual tree-lighting of the 25-foot-tall spruce. It also has carriage rides and photos with Santa for a fee. Board the steam train to the North Pole, sing carols, and walk through a snowy Christmas Tree trail to meet Santa, who will be giving away Frosty Chocolate Snow Milk served in memory mugs. This free event includes more than 100 lighted floats and marching bands playing holiday music. The lighted boat parade on Lake Grapevine is visible from the shoreline but starts at Twin Coves Marina. Go snow tubing and watch amazing ice sculptures be carved before your very eyes. Visit here to get more details. It run November 12, 2015 through January 3, 2016. Whistlestop Christmas has over 3.5 million lights. Events there include a parade, a tour of homes built in the 1800s, and theatrical productions. Their 2015 dates are November 23-December 31, 2015. Check its website for more information. Santa Land Texas is the state's original drive-through Christmas park located midway between Dallas and Shreveport on I-20. It has over 2.5 million lights over 24 acres. There is a 250-foot-long tunnel of dancing lights, numerous displays, a gift shop, and a concession stand. 2015 Dates-November 2015-January 4, 2016. Wonderland of Lights is located in Marshall, Texas and began in 1987. This event is centered around their historic courthouse and contains approximately 10 million lights. Activities include outdoor skating (not a common thing in Texas), Santa's workshop, carriage rides, candlelight tours of historic homes, and a lighted Christmas parade. Tour buses run hourly to take guests to see the twinkling lights that adorn the trees, local businesses, and residences. The Roberts Family started their display in 2006, and it has developed into something very beautiful. They are known for their 75 foot mega tree made of lights and multiple 11-foot mini trees and over 6,800 channels. The mega tree is not available for 2015 at this new location, but they have more parking and more pixelated animations. Each show begins at dark and consists of a loop of four to five songs broadcast on 100.5 FM. They are open weeknights until 10 pm and weekends until 11 pm, weather permitting. Concho Christmas Celebration was founded in 1994 and has one of the largest Christmas light displays in Texas with over 3 million lights strewn along a 2.5-mile drive along the Concho River. It includes a live nativity scene, tree lighting ceremony, Lights of Christmas parade, bicycle fun ride, and much more. Hidalgo's 23rd annual Festival of Lights runs from December 1 through the 31st. They kick off with a parade on December 1st. Be sure to check them out. See over three million lights and 900 displays on a trail of nine sites via train, trolley, or horse-drawn carriage from the City Hall Plaza. I would vote for Rockgate Dr.
O that was almost as good as being there. My family and I like to drive around and see all of the pretty lights. My sister lives in TExas and says there is a spectacular display put on by a power company I think it is. And it is kind of to honor LBJ. Do you know the one? Skip Hill Country light show north of Johnson City. Went last night and more than half the lights were out. Honestly i was embarrassed for them. Go downtown Johnson City instead to the courthouse. Awesome display! Every tree completely wrapped! Come experience 40,000 LED lights synchronized to 48 channels of animation. Multiple Christmas trees, arches, xmas features, and virtual santa. Tune into 94.1 while watching. Santa Phil will be making regular visits. Hi, thanks for including us at We Believe in Christmas! Our new address in Schertz is 2944 Mineral Springs, Schertz, TX 78108. Thanks again! 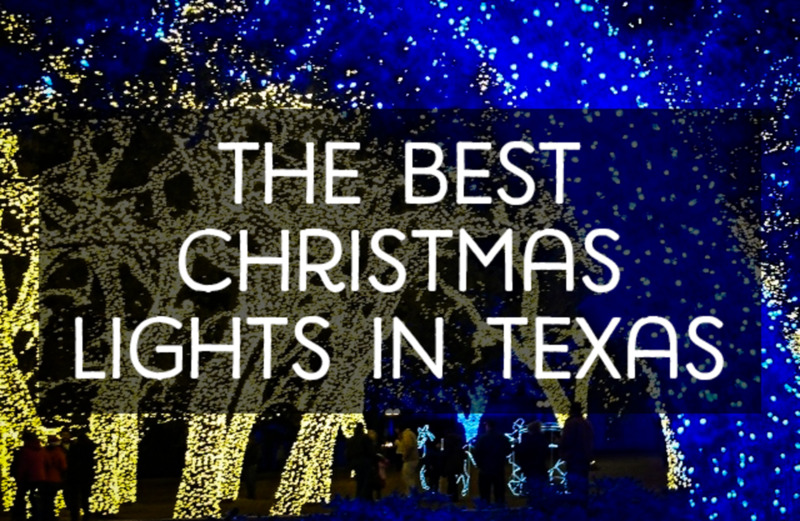 Have you heard of or been to Lights of Tejas? It is a huge light festival on the campus of Tejas (A camp and retreat center in Giddings, TX). Over one million Christmas lights decorating the whole place and you walk around to different activities. There are zip lines, climbing walls, inflatables, hayrides, a light maze, food, cookie decorating, ornament decorating, a Christmas tree forest, choirs, midway games and face painting. The coolest part is the different light shows on the Tejas lake, which play over 250,000 lights to music and narration, and the lights reflect over the water. Very pretty but oh so wasteful!!! The money is wasted on electricity when it could be given to a worthy cause or help an elder person or rather persons buy their medicine, or food. Put the money in a scholarship for some kid that would love to go to college but can afford it, help a college kid that's working to pay his or her way through college a young couple with small children that is working 2 or 3 jobs just to pay their bills. So many way that the money spent on the decorations and then the cost of the electricity could be spent and not wasted. You should check out the lights at Bryan's Barn out side Robert Lee! They have 6 acres, where everything from cow patties on up are decorated with lights. Amazing! Thanks Kenny! I have added the info above. Thanks again, Kimberley! I've added a section for them as well! Thanks Kimberley! 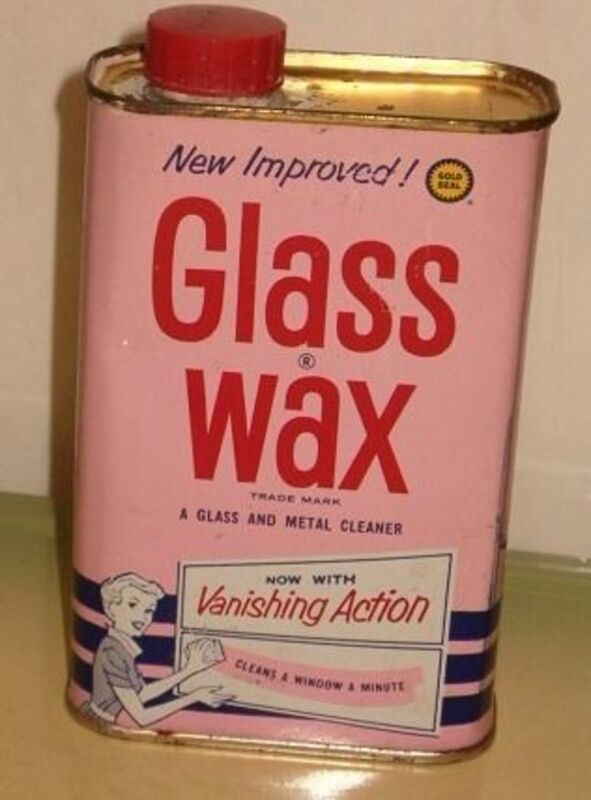 I have inserted it above. MissTee....thanks for the info! I have added Prestonwood Forest! You need to include Prestonwood Forest (700+ homes) in suburb of Houston, Texas. Their tradition started 37+ years ago and most of the residents participate. Some of the residents go ALL out. The "wow factor" is definitely present here. Very impressive and enjoyable. A must see! Thank you very much! We appreciate it. This is a dream. I am always seeking out the best Christmas lights, but I've only stuck to areas near my hometown because I must be home for the holidays (since it's not Christmas unless you're home, right?). I think this is a great idea for a Hub and it's absolutely complete, with the photos and details and great descriptions. Thanks so much KCC. The lights which you have mentioned are very innovative in style. I can not wait to try one for myself. You're welcome! Have fun! Let me know how it is if you go! do you of anyone that was there this year? Do you think it is good? Yes, best I can tell, Judy. I haven't seen them personally, but from all indications online it appears they are. is 37th street still going on? 8 years ago from Birmingham, England. Some very beautiful images. Keep up the great work! I agree, CarpetDiem!! Come on down! Great hub! 37th Street in Austin, Texas looks amazing. I've never been to Texas, but Christmas seems like the time to visit! Wow! Thinking about Christmas makes me alive because Families are spending time to bond and celebrate the Birth Of our God. I love the pictures of Texas Lights. I hope i can see in person. Thanks Helene.....there is a lot to see here. If you ever get the chance, come on down! Nice hub! i have a relative at Texas, I wish I could go there this Christmas season. Thank you Jaymelee & Quarite. Thank you eculligan & shil1978! Thanks for sharing this beautiful hub!! Thanks katrinasui and genson! Hope your house turns out as pretty as you envision it to be! very informative post. Nice hub. It is, susansisk! Come see us sometime! Reading Christmas hubs right now. Christmas must be fun in Texas. Those are amazing displays. I visited a house in Phoenix (quick Youtube video at http://www.youtube.com/watch?v=4Qw7wKWCqiI) once that was decorated to the extreme, but having a whole street like that must be awesome to walk through during the holidays! Thank you Deberon. I'll have to check on them closer to Thanksgiving. Too bad the trail of lights in Austin is possibly CLOSED this year...at least we wills till have 37th street and the Zilker tree to visit. Love your hubs. Thanks June of Ages....you should write a hub about the lights in Salzberg, Austria. That's the thing, we all really decorate as much for Halloween as we do for Christmas. Hope you finally make it to the area! Our family was trying to relocated to Plano Texas a few years ago and made several trips there in October and December. We were really impressed with one neighborhood called "Deerfield" in October all of the homes in this development were decorated with really neat Halloween decorations. We said "Wonder what it's like at Christmas" We returned at Christmas and WOW what a beautiful little neighborhood. We really wanted to relocated there but it didn't work out--still trying tho'. Great Hub and Merry Christmas!!! I really enjoyed your hub. I agree these are the best Christmas lights in Texas. Oh, Sue, I don't even think I have a fraction of what's really out there. I've lived in Texas all my life and I'm always amazed at how much there is to see and do. One good thing that has happened to Christmas lights is the LED lights. I have a hub about that too. LED lights GREATLY reduce the energy cost. We can do so much more with less money spent. I have lived in Texas for the last thirty years I did not know there was so many places to go. But the one I always took my son to was the one in Arlington. Years ago it was so beautiful. But I have gone sense and for some reason it don't seem to be the same as it was when my son was small, I was wondering why is it because of the price of electric or what. Thanks johnruizborja! (that's a mouthful) I think you should do a hub about the displays there! awesome! how I wish I could be there and watch it myself. But I'm here in the Philippines and I can also see some areas here that are showcasing awesome christmas lights displays. I maybe posting here also certain places with Christmas filling the air. Great hub! I really enjoyed your hub. Wow, that is cool, John. Write your hub and I'll link it here. Thanks for stopping by. Travelespresso, I agree. Some people really get into it. I'm glad they do so that the rest of us can really enjoy it. Spectacular information KCC Big Country. I'm always amazed at how much effort some people put into these displays for the rest of us to enjoy as we are passing through. Awesome hub! I live in Arlington and love going to see the Interlochen Lights. I have also been to other of these locations to look at these lights. Its awesome! My neighbor puts up alone 320,000+ lights every year. Its crazy! I will have to write a hub about it, its incredible! Sounds like it to me, too Itcoll. Thanks for stopping by. You were so close on the name Gracenotes. It is Inerlochen and I found a bit of info and have now added it! Thanks so much for the tip! Cool. I'm off to look for them now. Thanks Gracenotes. I have quite a few Texas hubs. I'm a big believer in promoting this great state of ours too. I'll see what I can find on the display you're talking about and add it. I rated you "up" on this one. Being a Texan, I love anything that promotes our state! There is a neighborhood in Arlington that is quite well known for its Christmas lights. For the life of me, I can't think of that neighborhood. I've never driven over there, because Arlington is just plain hard to drive in, especially at certain times when the Dallas Cowboys are playing in their new stadium.... and also during baseball season when the Rangers play at the Ballpark in Arlington, or whatever is their "name du jour" for that stadium. It keeps changing! Thank you Mama Khat! Happy Holidays! This is great. Thank you so much for posting this. It really lifts your spirits to see beautiful Christmas lights! Thanks Manly! You need to take her and then write a hub about it! Great "Well-Lit" Christmas Hub! Promised my wife...I'd take her to the one in College Station...this year...for sure. Hey, no problem Mekenzie! It just means that when you set up the news capsule, it automatically feeds in relative articles based on a keyword(s) I selected. For instance, I told it "Texas Christmas lights" and it searches its database for news articles with those keywords. I don't go looking for the articles myself. This capsule then will continously update itself with the most current news articles related to the topic I picked. o.k. it's time to swallow my pride again and ask you what you mean by "The News Capsule is an an RSS feed." I really have learned alot from you and thank you for taking time to teach me. Really like your page with Christmas lights. I enjoy decorations in Paris during last Christmas. Awesome! Thanks for adding it. The News Capsule is an RSS feed. Me too Mistywild. We rode around looking at a few last night. The weather has been so nice, many people have already put them up. thanks for sharing. I love Christmas decorations and lights. Awesome Mekenzie! I have added a link to your hub above. KCC, I finally finished my Hub. It's called Holiday Road. Thanks again for the encouragment - I'm so glad I did it, it was fun to write. Awesome Prettydarkhorse! You'll have to let me know how they are. I'm only just an hour or so away from you. wonderful I live by Grand Prairie and I can use this information, Thanks so much KCC! You're welcome, Shinujohn...thanks for stopping by. Way to go Mekenzie! Glad I could help! ok KCC you've convinced me - I've started to write the blog and will get it up ASAP. Thanks for the kick in the pants! :-) Blessings! Don't wait, Mekenzie! You want Google to get it ranked so that people can see it! Thanks for providing your link. Thanks KCC, I will consider writing a hub about our Holiday Road. Here is the Link to our HolidayRoad in Spring Lake, Michigan: http://www.holidayroadlights.com/ The festivities officially begin on Thanksgiving night at 6pm. We will have a houseful of family and friends. It will be so much fun to share the lights together.